Shrubs grown in temporary containers in a nursery or permanent pots in your home will eventually outgrow their housing. A shrub is 'root-bound' when its roots grow so large that they wrap around the inside wall of its container. A shrub with bound roots will stop producing growth and may eventually die if its roots aren't given more room to grow. But re-potting isn't enough. Bound roots should be scored to stimulate the shrub to put out new roots in its new container. Water the shrub a few hours or the night before you score the roots. This will loosen the soil and make it easier for you to remove the shrub from its container. Remove your shrub from its current container. If the shrub is growing in a temporary plastic container you can simply cut this away. If you don't want to ruin the container, simply press down on the sides to loosen the soil. Then lay the container on its side and carefully wiggle the shrub loose by pulling gently on its trunk. But do not force the shrub. If the roots are too root-bound, you may have to break the container. Score the shrub's roots. Use a sharp, clean knife to make four lengthwise cuts down the sides of the root ball at regular intervals. Do not cut more than a quarter-inch deep. Loosen the shrub's roots by gently pulling the main roots away from the root ball with your hand. But take care not to break any roots. Re-plant the shrub. make sure that the hole or new container is at least twice as wide as the root ball of your shrub, and water it immediately. Shrubs with scored roots commonly wilt but will bounce back. 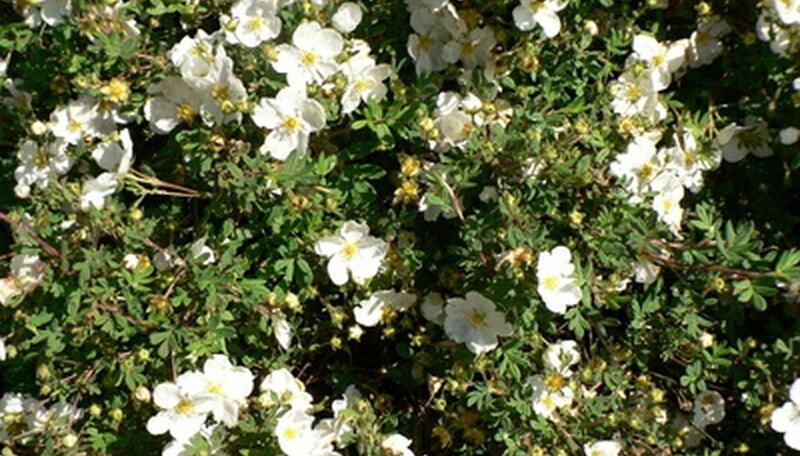 Know If a Shrub Is Dead?